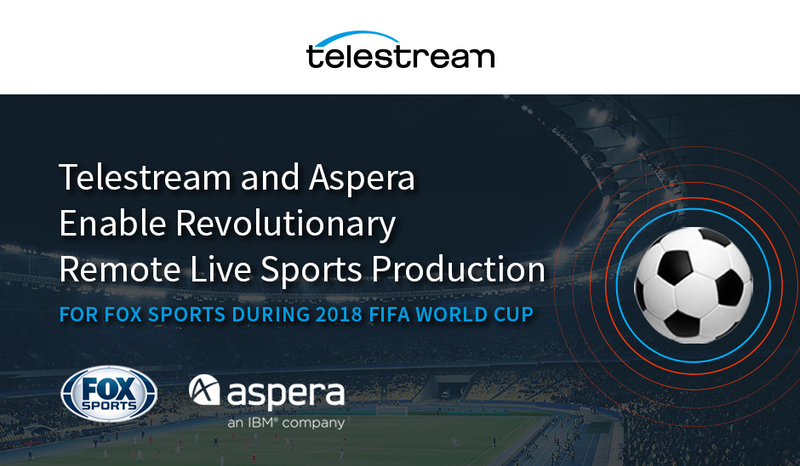 Additionally, Fox Sports digital content group chose Telestream Wirecast to create a professional looking live stream that mimics the Fox Sports TV broadcast while offering digital elements such as responding to social media. The Wirecast switcher enables operators to switch sources and feature guests from anywhere in the world. The layers interface inside Wirecast enable operators to feature multiple picture-in-picture displays with graphics such as scores, stats, Tweets, and other relevant match data. Plus, Telestream has been able to confirm a smooth and efficiently delivered playback experience by utilizing Telestream IQ probes to monitor performance across the delivery chain. Yes, sign me up to periodically receive product news, promotions & event invitations. 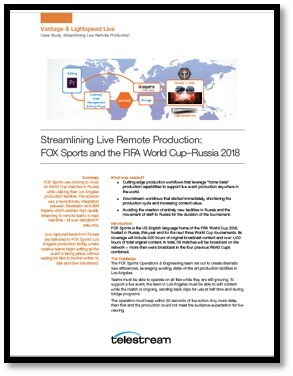 I’d like more information on the Live Remote Edit @home Event Production solution including the consumption-based pricing model.